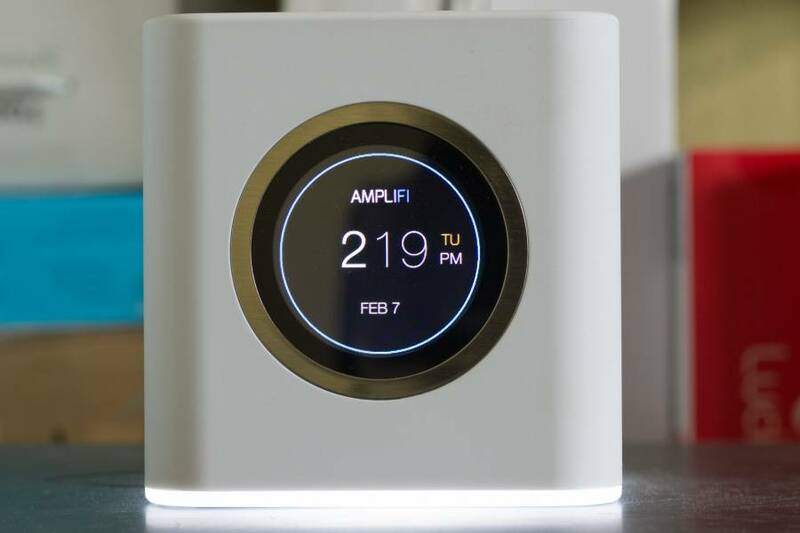 In this blog post we look at AmpliFi Wi-Fi from Ubiquiti and how it can help solve your home Wi-Fi troubles. Most households use just their ISP provided router to serve Wi-Fi around their home. And as a result often suffer poor performance, slow speeds and black spots. The main problem is that the routers supplied by internet service providers are cheap. They are designed to cater for the masses whilst maintaining the lowest possible cost to the provider. It’s fair to say that this means they are usually not the best especially when it comes to Wi-Fi. We have found that they usually struggle to provide a decent wireless service to even a modest UK home, let alone a larger home. Problems are not always immediately present or obvious. Sometimes they present themselves as blackspots within the home where reception of Wi-Fi is simply impossible. But more often than not the problems are much more subtle and intermittent. Problems such as slow connection speeds, buffering of audio or video streams, connections dropping out etc are all very commonplace. Often people just accept it as normal. However it’s usually a very easy thing to correct by using better performing equipment. This is where the likes of Ubiquiti’s new Amplifi mesh Wi-Fi system come in. Designed for incredible ease of use allowing end user to install and set up in minutes. 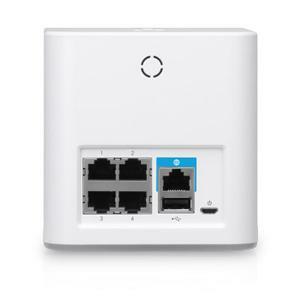 We have lots of experience with Ubiquiti products and have been installing their enterprise class Wi-Fi solutions for years. This however opens up professional Wi-Fi services to the masses by making it really easy to self install. Being a mesh system means that each part of the system is capable of relaying it’s connection via any other part of the system. So for example if you purchase the three device pack with a router and two Wi-Fi extenders and the second extender is out of range of the router. The Wi-Fi passes to the second extender via the first extender. 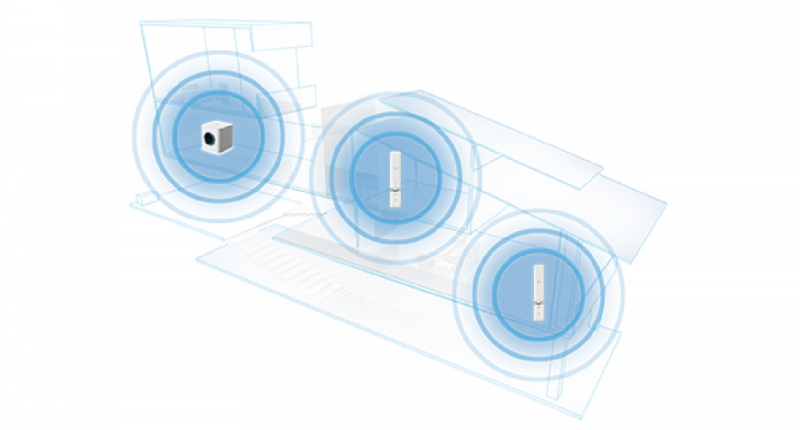 The AmpliFi system is capable of all modern Wi-Fi standards including the latest 802.11AC and has a maximum speed of 1750Mb/s. Setting up the system is incredibly easy. The main router can be set-up via a smartphone app, or it’s built in touchscreen display. The extenders are simply plugged into a mains socket around the home. The router unit also has ethernet ports built in to connect local wired devices such as printers, computers or games consoles. 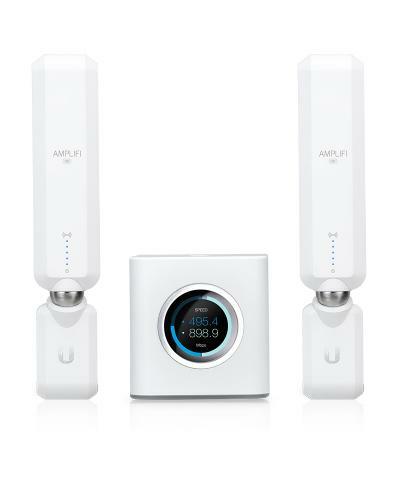 In summary, if you are one of the many that suffers endless problems and niggles with your home Wi-Fi service, you need to install the new Ubiquiti AmpliFi system!